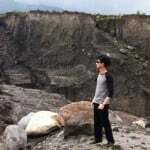 Ask anyone where they go to book their hotel accommodations, and they immediately cry – “Expedia! Agoda! Booking.com!” These third-party sites are often known for being convenient and fuss-free, offering a one-stop portal for accommodation needs. But what if we told you that BOOKING DIRECTLY with the respective hotels might actually be a more feasible and cost-effective way to book your stays? We’ve sieved out 9 hotels in Singapore that offer great deals for all their direct bookings. After all, who doesn’t love free stuff?! As if freebies aren’t enough, booking directly through respective hotel websites can also get you massive discounts. Now that we’ve let you in on this secret, tell all your friends and family – it’s time to go crazy! 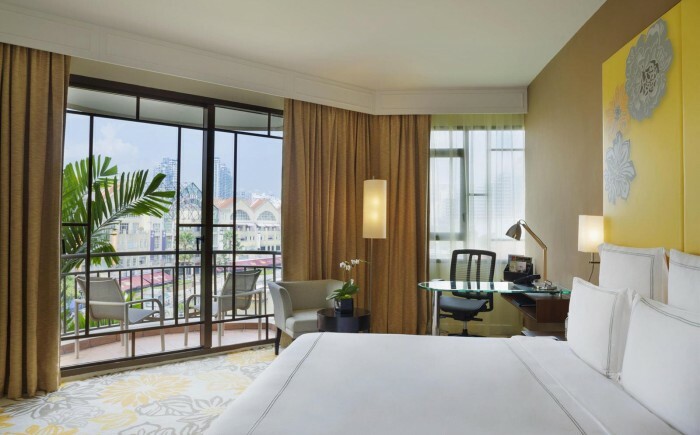 Guests looking for a short retreat would definitely love the Singapore Staycation Special when they book for the weekend directly through the hotel’s website. The deal, which starts from SGD $290 per night, also includes a free breakfast buffet and a late check-out. Perfect for visitors looking for more bang in their buck! If a weekend stay isn’t your thing, then you’ll be happy to know that guests who make an advance booking with Westin Singapore will be rewarded with exclusive savings of up to 15%. You’ll also receive a complimentary access to their Heavenly Spa, where you can enjoy a very relaxing session in their treatment rooms! To find out everything you need to know and more about a staycation at The Westin Singapore, click HERE! Village Hotel Katong is situated in the Katong and Joo Chiat districts, where the past influences from the Straits Chinese settlers are brought to life in the hotel’s surroundings. The interiors are draped and furnished with authentic Peranakan decor, making guests feel like as if they’ve stepped back into time. The surrounding shophouses and Peranakan restaurants only serve to add into the immersion! Make sure to check out their Year End Sale, where you can get up to 35% off on their next reservation! The offer also includes free breakfast and a complimentary city bus tour around Singapore. Since Village Hotel Katong is similarly under Far East Hospitality, expect to receive the lowest possible prices online on their official website. If you find otherwise, show the discrepancy and they’ll reward you for it with additional discounts! 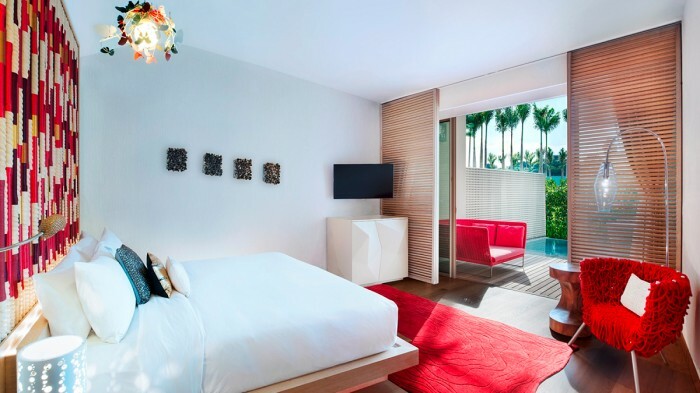 Not only is W Singapore snugly set in the lush greenery and coastal scenery of Sentosa Island, the resort is also conveniently situated nearby to the shopping districts in the mainland. Guests are in for a lavish island experience when they check in for a stay with this hotel! The Stay Close To Home offer provides guests with a short escape from reality, from SGD $374 per night. Party it out at the various nightlife attractions around the island and lose all that built up tension. Sentosa ain’t called the State of Fun for nothing! Guests seeking a more wilder side of the island should time their stay with W Singapore for the annual ZoukOut beach festival that happens every December. Take advantage of their amazing ZoukOut Party Package from SGD $420 per night, which also includes 2 two-day ZoukOut complimentary passes worth SGD $436. Now you won’t have to spend a bomb just to join in the festivities! Have the stay of your life at W Singapore Sentosa Cove - find out what a staycation there is like right HERE! Swissotel Merchant Court prides itself on its modern technology and exclusive amenities, which can cater even to the most demanding of travellers. Located in Clarke Quay facing the Singapore River, this luxury hotel is also a great starting point for visitors to explore and sample the various bars and restaurants in the area. 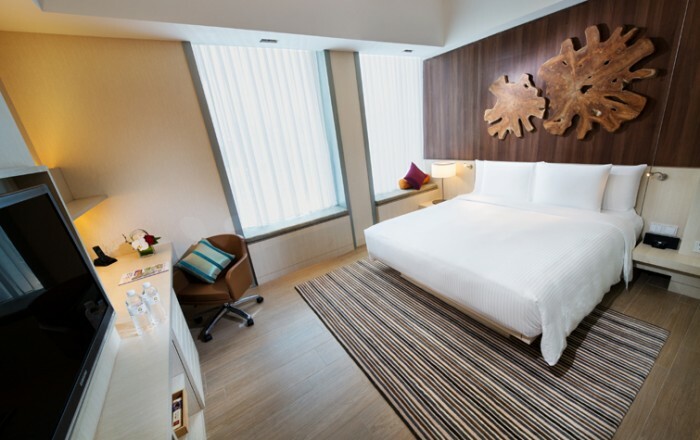 Guests who book directly through the official Swissotel website can opt for the Reopening Special deal from SGD $285 per night. The offer includes a welcome bottle of Prosecco to start the festivities with, as well as buffet breakfast to soothe your hangover for the next day! Swissotel also guarantees the best rates for their hotels on their website, so don’t worry about losing out on better offers on third party booking sites. If you happen to find a better (legitimate) offer elsewhere, show it to Swissotel and they’ll be sure to match it, as well as giving you a 10% discount for your troubles! 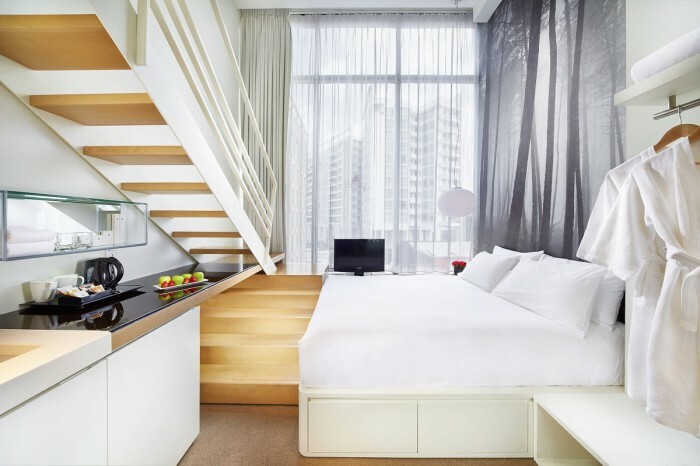 The Quincy Hotel is a trendy boutique hotel located just off Orchard Road, with its stylish and contemporary architecture setting it apart from the other skyscrapers in the district. The hotel’s interior is no different, with warm sleek rooms that offer an astonishing view of the cityscape. Catered for both business and leisure, the Quincy Hotel is perfect for any form of traveller! Take advantage of their current secret sale, when you make use of the promotional code “DIRECT” for up to a whopping 40% off in your next reservation! The offer also includes free breakfast and a city bus tour around Singapore, perfect for guests looking for a little rediscovery of our little island and its attractions. Far East Hospitality, which owns the Quincy Hotel and a slew of other hotels, prides itself for the best rates for its own hotels across the wide web. You can be well assured that you’re paying the lowest possible price when you make a booking with them. Furthermore, if you happen to chance on another booking site that offers a lower deal than them, they’ll be more than happy to refund you the difference in prices (once you prove it’s legitimate) and on top of that, an additional 15% discount! How sweet is that? Drawing heavy inspiration from the Bugis district, Mercure Singapore blends into the culturally rich area by offering heritage-inspired rooms and intricate decor. Featuring an infinity pool for guests to dip and cool off, as well as an outdoor terrace where you can walk across and enjoy the panoramic views, visitors will be in a treat for the senses! 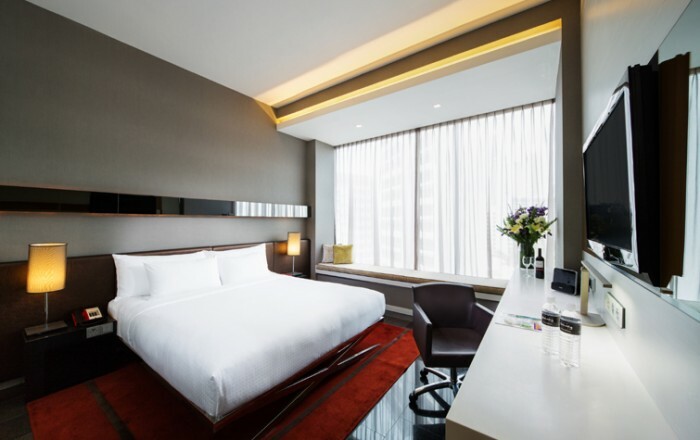 Guests looking to book directly with Accor Hotels, the official website for Mercure Singapore Bugis, can enjoy guaranteed best prices when they make their reservations online, as well as an online check in for those too lazy to get up early in the morning! Mercure Singapore also features different deals for each available room. If you’re looking for the cheapest option, then opt for the Advance Saver or Special Offer for great bargains! Else, the Discover Your Singapore gives you additional benefits for paying a little more, such as included breakfast and the ability to cancel your reservation at a reasonable time. Hotel Boss can be found in the middle of Kampong Glam and Little India, where guests can choose to explore important heritage sites and immerse themselves in the area’s rich culture. If you’re not a fan of history stories, however, then perhaps the short walking distance from the hotel to shopping havens such as Bugis and Orchard Road will catch your interest instead! This November, enter the code “TRIPZILLA” when you’re making a booking directly through the official Hotel Boss website to receive a 10% discount with a late checkout for 3pm. If there is availability, you might even score yourself a free upgrade! You’ll also enjoy free Wi-Fi and an early check-in after 11am when you book on Hotel Boss’ official website. If you’re keen on jumping into their outdoor pool at the Sky Terrace as early as possible, then make sure to book with the hotel directly! Raring for a staycation at Hotel Boss? Here’s everything you need to know! The proud design of Italian architect, Piero Lissoni, Studio M Hotel can be found deep in the heart of Robertson Quay. 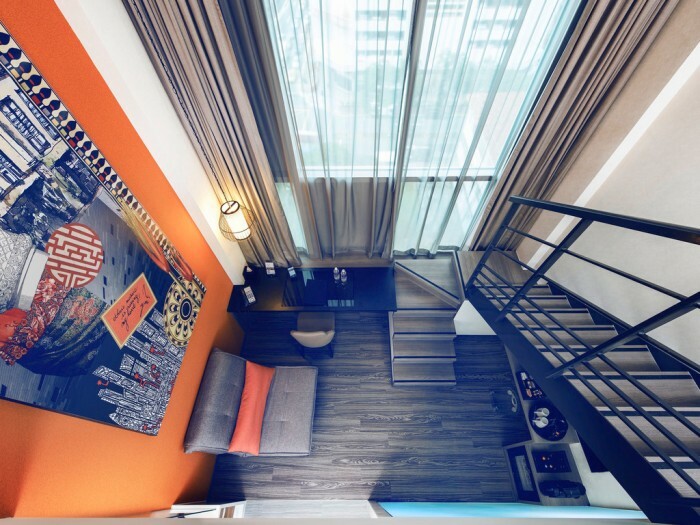 What sets Studio M apart from the other hotels, however, is their innovative loft-inspired design which meshes both style and functionality into one comfortable room. Visitors will definitely enjoy a unique stay at one of the hotel’s iconic duplex guest rooms! Direct bookers will enjoy an exclusive 10% off when they sign up for My Millennium Member at their website. Not only that, they'll be able to earn points that they can accumulate to upgrade their membership status! Enjoy amazing privileges at any level, from complimentary WiFi at selected participating hotels for starters, to suite room upgrades for elite members! Visitors to their webpage can also take advantage of a current Merriments deal, which gives them up to 30% off on their year end vacation. Act fast though, as the deal will end on the 16th November! 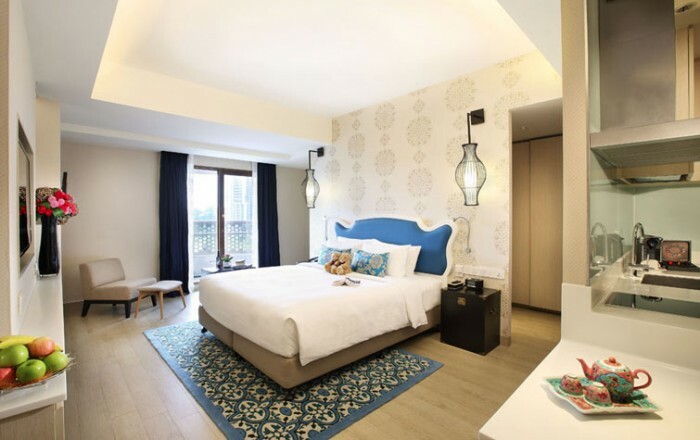 The Oasia Hotel Novena stays true to it's name, by establishing itself as a convenient retreat from civilisation in the busy district of Novena. Visitors who walk into the building will be greeted with the refreshing sight of natural decorations, earthen colours and contemporary designs. It's a great place to step away from the urban city life and take a break from all your problems in The Oasis, where you are given the choice to swim leisurely in a 20m lap pool, or simply unwind in their Jacuzzi! Guests of Oasia Novena who book directly with the hotel 7 days in advance can enjoy complimentary tickets to Universal Studios Singapore, where they'll be able to visit the thrilling amusement park on one of the days that they are staying. As long as there are available reservations, any guests can request for additional tickets to ensure that everyone can enjoy an exhilirating ride on the Battlestar Galactica dual rollercoasters! Being part of the Far East Hospitality means that booking directly with Oasia Novena only guarantees you the best rates on any platform! And should you encounter another booking site that sells cheaper than them, let them know! Not only will they reward you with a refund of the differences in prices (if you've unfortunately booked before bumping into the cheaper site), but as well as a handsome 15% discount for your next booking purchase! Convinced that direct bookings are the way to go? The best part is that the hotels regularly come up with new deals, so be sure to check their websites often. Enjoy your staycation – you deserve it!